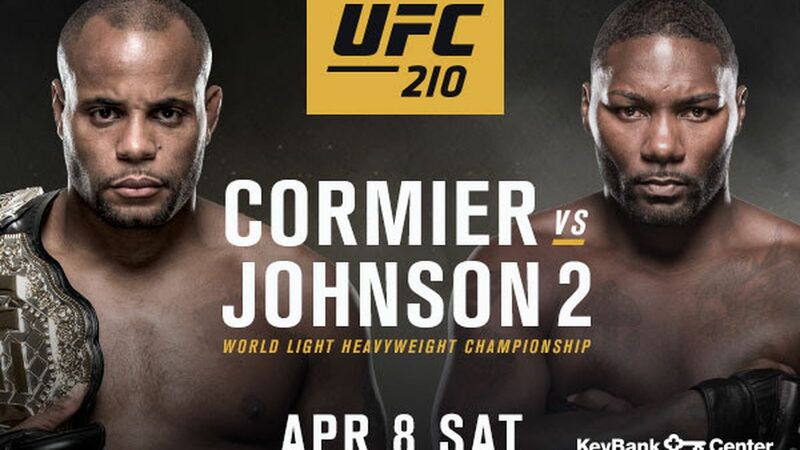 Cormier versus Johnson 2 finally happening is going to be as fun as the first 1. The first fight Johnson caught Cormier a couple times but in the end, Johnson got tired and Cormier took him to the ground finishing him with a rear-naked choke. The key in this fight is going to be if Johnson finishes the job or gasses out first. Anthony Johnson has brutal knockout power with 16 career knockouts and 5 in his last 5 wins. Johnson was a welterweight in the past cutting to much weight and found a home at light heavyweight where he has dominated with knockouts. Daniel Cormier has only lost 1 fight in his career to who many people believe as the best light heavyweight Jon Jones. Cormier has a mixed variety of ways to win with 6 knockouts, 5 submissions and 7 decisions in his 18 career wins. The key for Cormier is to get this fight to the ground without getting knocked out first. The co-main event features two top 5 middleweight contenders Chris Weidman versus Gegard Mousasi. Chris Weidman was the G.O.A.T stopper when he finished Anderson Silva twice. After winning two fights after that he is currently on a 2 fight losing streak and only 2 losses of his career. Mousasi is an ultimate veteran with 49 career professional fights and only 6 losses. He is a finisher with 34 fights coming by way of knockout or submission. Mousasi is a win away from a title shot even though the title picture seems to be on hold with GSP versus Bisping in the works and Jacare and Romero on the outside looking in. Will Brooks and Charles Oliveira has potential to be a solid fight between grappler and striker. Myles Jury returns after a long layoff with only 2 career losses. The fight card is solid with 1 championship fight and 7 ranked competitors fighting.